The Baltimore Ravens have hired NIU alumnus Thomas Hammock as its running backs coach. An 11-year collegiate coaching veteran, he joins the NFL ranks after serving the last three seasons as the assistant head coach, running backs coach and recruiting coordinator at the University of Wisconsin. 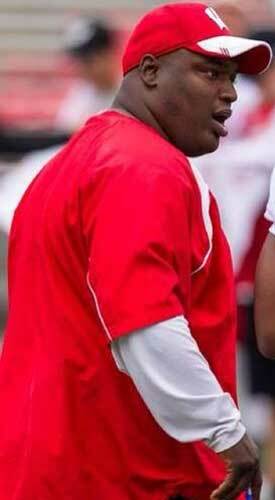 As a Badgers coach, Hammock led one of the top rushing attacks in the nation. During the last three seasons, the Badgers ranked third nationally in rushing yards per attempt (5.7), fourth in rushing touchdowns (121) and seventh overall in rushing yards per game (251.1 ypg), with each category leading the Big Ten during this span. Before working with the Badgers, Hammock coached at the University of Minnesota from 2007 to 2010, serving as the running backs coach for all four seasons and as co-offensive coordinator in 2010. At Northern, he guided the running backs from 2005 to 2006. He also played for the Huskies until he was diagnosed with a heart condition during his senior year in 2002. During his NIU playing career, he finished ninth on the school’s all-time rushing list (2,432 yards). Hammock earned his bachelor’s degree in marketing from NIU and has a master’s degree from the University of Wisconsin. for more information on NIU football and Huskie athletics, visit www.niuhuskies.com.